Born in London, England on 10th January 1978 to a Barbadian father and British-Jamaican mother, Soweto Kinch is one of the most exciting and versatile young musicians to hit the British Jazz and Hip Hop scenes in recent years. He first became interested in music at the tender age of eight, playing clarinet at primary school. He quickly developed a fondness for the alto saxophone and was given his first instrument when he was nine. After meeting Wynton Marsalis four years later he discovered and became passionate about Jazz, first concentrating on piano and later, in his teens, focusing on saxophone. Moving to Birmingham aged 9 was key to Soweto’s development, and the city has continued to play a crucial role in his unique identity. He cultivated his interest in the Jazz tradition alongside a passion for Hip Hop culture, joining the group Pentalk in 1994. Soweto is one of only a few artists whose appeal traverses underground and mainstream audiences, and who is equally respected in Jazz and Hip Hop circles. In 2002 Soweto won the inaugural White Foundation International Saxophone Competition at the Montreux Jazz Festival, fending off competition from top young players from all over the world, including graduates of Berklee and Manhattan School of Music. His win assured him of shows for his own band in the 2003 Montreux Jazz Festival, the IAJE Annual Festival in Toronto, and at the famed Ronnie Scott's Club, London. Hot on the heels of this major award, Soweto picked up the prestigious BBC Radio Jazz Award for Rising Star 2002 and, as a member of Jazz Jamaica All Stars, the BBC Radio award for Best Band 2002. Soweto’s debut album ‘Conversations With The Unseen’ (2003) brought together his love of Jazz and Hip-Hop, combining influences of Charlie Parker and Q-Tip, straight-ahead jazz with cutting edge hip-hop. It subsequently won the 2003 Mercury’s Best Album Award and MOBO’s Best Jazz Act. 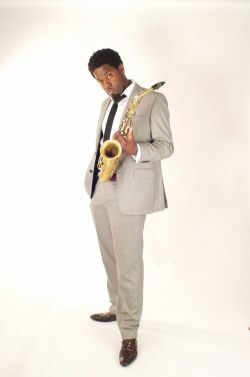 Since then, Soweto hasn’t looked back and has been busy touring internationally with his band. His following albums, A Life In The Day Of B19 - Tales Of The Tower Block (2006) and The New Emancipation (2010), gathered similarly exceptional reviews.